ACORN will close its remaining state affiliates and field offices by April 1. 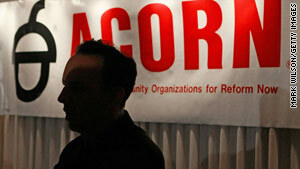 (CNN) -- The community organizing group ACORN announced Monday it is closing its operations amid falling revenues. The announcement came a day after the board of the Association of Community Organizations for Reform Now met and approved the steps required "to responsibly manage the process of bringing its operations to a close over the coming months," an ACORN statement read. The group's remaining state affiliates and field offices will close by April 1, and a plan will be developed to pay its debts, the statement said. "ACORN's members have a great deal to be proud of -- from promoting homeownership to helping rebuild New Orleans, from raising wages to winning safer streets, from training community leaders to promoting voter participation -- ACORN members have worked hard to create stronger communities, a more inclusive democracy and a more just nation," it said. The 40-year-old liberal group was crippled by scandal six months ago when a pair of conservative activists posing as a pimp and a prostitute secretly videotaped two ACORN employees appearing to give them advice about setting up a prostitution ring and evading the IRS. The video led to the employees being fired. Afterward, Congress halted Housing and Urban Development grants to ACORN. In a news release issued Saturday, ACORN CEO Bertha Lewis said the group had faced "a series of well-orchestrated, relentless, well-funded, right-wing attacks that are unprecedented since the McCarthy era. Our effective work empowering African-American and low-income voters made us a target. The videos were a manufactured, sensational story that led to rush to judgment and an unconstitutional act by Congress. "For ACORN as a national organization, our vindication on the facts doesn't necessarily pay the bills. I know that ACORN's dedicated community members will continue to speak out for justice and organize in their communities." ACORN's announcement was welcomed by Matthew Vadum, senior editor of the Capital Research Center, a conservative think tank based in Washington. "I won't be shedding any tears," said Vadum, who said he has been studying the organization for years and written extensively on the organization. "ACORN is a thoroughly corrupt organization that abuses taxpayer dollars and breaks the law at every opportunity. To suggest that it was set up is laughable." He added in a telephone interview, "For ACORN to claim that it's a victim of McCarthyism, as I've seen CEO Bertha Lewis do repeatedly, doesn't even pass the laugh test. It can't be taken seriously." On March 1, prosecutors cleared the group of criminal wrongdoing related to the videos. And on March 10, U.S. District Judge Nina Gershon declared unconstitutional the law blacklisting ACORN and allied organizations from receiving federal funds, according to ACORN. In 2008, Republican groups seized on allegations of voter registration fraud by the group in Florida and several other states, claiming its workers were trying to push the election in Barack Obama's favor. Founded in 1970, ACORN called itself "the nation's largest grassroots community organization of low- and moderate-income people." The group said it had more than 400,000 member families organized into more than 1,200 neighborhood chapters in 110 cities. Besides voter registration, the group focused on issues such as predatory lending, the minimum wage and funding for public schools, according to its Web site. It also provided free tax return preparation for low-income people and screening for state and federal benefit programs.